Tours & Tastings are available ONLY on Saturdays and ONLY from 12:00 noon until 3:00 pm on Saturdays. The Tasting Room is ONLY open during tour hours. Tours are very informal; just show up between noon and 3:00 pm, socialize with like-minded beer folks and PBC staff, and we’ll put you on the next available tour. 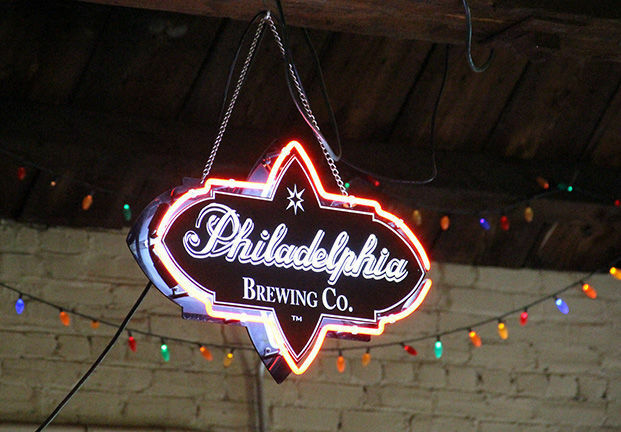 You’ll learn about brewing, our brewery building, what makes Philadelphia Brewing Co unique, and maybe a few completely useless tidbits as well. There is no need to call ahead or make a reservation unless you have a large group. We ask that large groups arrive before 2:00 pm. We DO NOT admit people to the tasting room after 3:00 pm on Saturdays. You will not be served if you are visibly intoxicated. We are a production brewery, so we don’t have a kitchen and don’t serve food. No pets please.